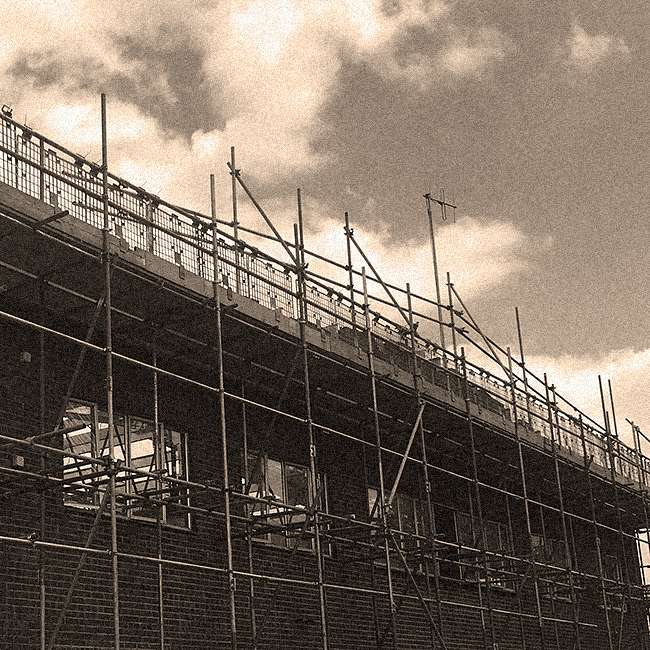 RBS Scaffolding Ltd are proud to boast the largest scaffolding workforce in Hampshire with over 70 employees. We take pride in training and personal development and have ensured all our staff (both site based and office based) are fully qualified and competent in their roles. All of our scaffolding operatives are CISRS registered. 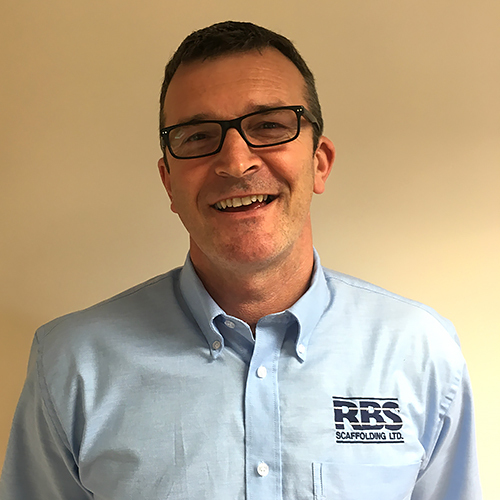 Rob founded RBS Scaffolding back in 1987 when he was a 27-year-old Scaffolder with 10 years’ experience. After several years he was joined by his wife Denise who came from a corporate background and together they have developed a strong team bringing the company to where it is today. Denise oversaw the office management and became a member of the National Access and Scaffolding Confederation training committee. 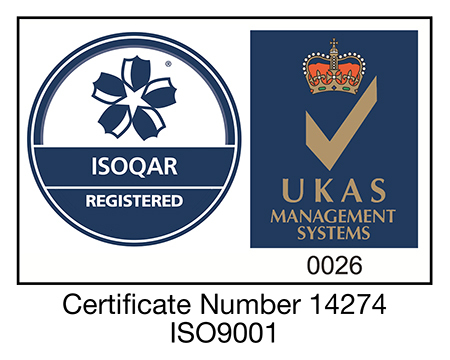 Achieving numerous other trade accreditations soon followed. 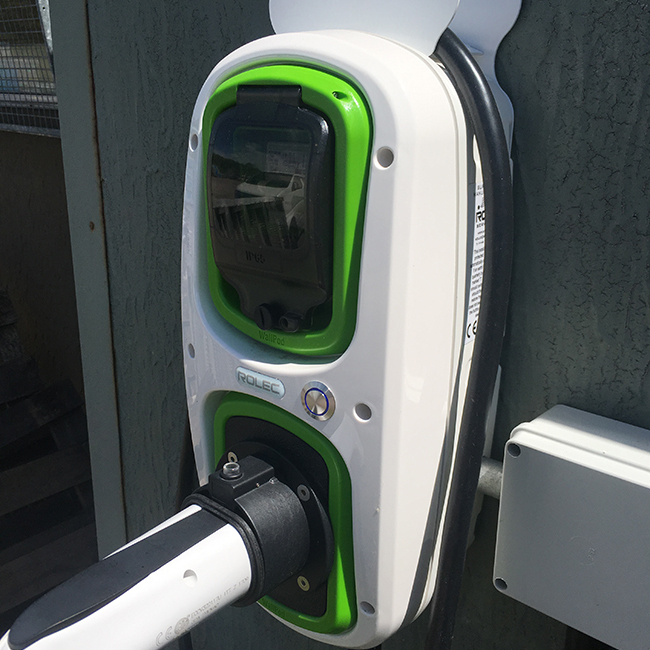 Rob continued to develop the operational capabilities of the business. By working outside, where he is happiest, he could pass on his expertise and passion to help build the great culture that RBS enjoys today. 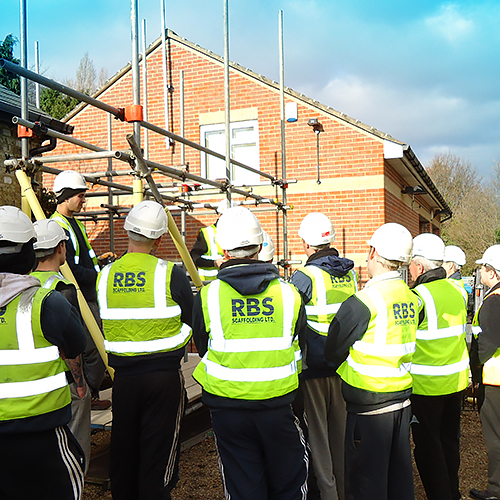 RBS has been by far the largest training provider for new scaffolders in the area, producing hundreds of highly trained people over many years. Through their ethos of selecting, training and encouraging progression in their staff, Rob and Denise have now successfully stepped back from the business allowing the management in place to continue the high standards of customer service and reputation for safety they have built. 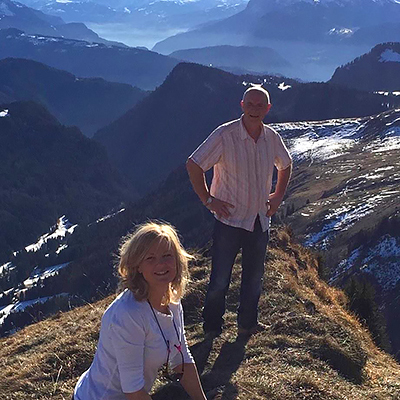 You will now often find Rob and Denise relaxing walking their dog in the French Alps. 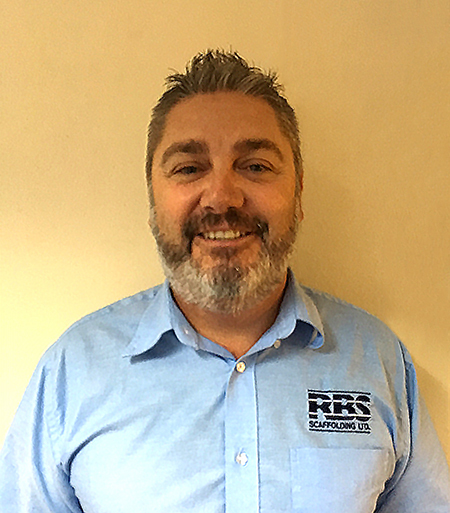 Simon joined the team as Operations Manager in 2012 and was promoted to Operations Director in 2015. Simon has a wealth of experience in construction having worked in this industry for 30 years in a variety of management roles. Simon holds an HNC in Building Studies which is supplemented with an NVQ Level 5 in management. When Simon is not hard at work he enjoys spending time with his family and travelling/holidaying with his friends, most notably on the golf course, especially if the sun is shining. Geoff has a wealth of scaffolding experience having worked across numerous surveying and management roles during his career. Geoff worked as a Surveyor for Archway Scaffolding for 5 years, a Regional Surveyor for SGB for 6 years achieving promotion to Major Projects Surveyor. 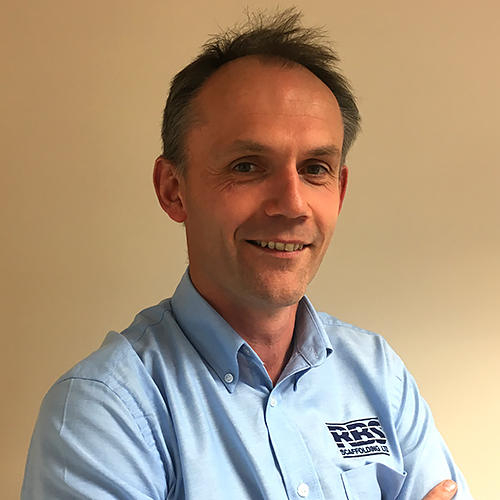 Geoff has also worked as Regional Surveyor and Depot Manager at Deborah Services for 5 years and as a Senior Contracts Manager for Denholm Industrial Services Special Projects for 6 years. Geoff holds Senior Managers CSCS and IOSH and has achieved his NEBOSH, Advanced Scaffold Inspection, SEATS, SMSTS qualifications. Geoff has worked for RBS for over 11 years and is now the Company’s Commercial Director. Outside of work, Geoff can often be found spending time with his family or walking the dog! Andy Willis joined RBS Scaffolding in 2010 as Commercial Manager. Andy was promoted to the board in 2014 and became Managing Director in 2017. Andy’s background is in Finance and IT. Andy is a member of the Chartered Institute of Management Accounts and graduated from Liverpool University with a Masters in Business Administration. Prior to joining RBS he worked at board level with a number of businesses associated with the construction and retail industries. Andy enjoys spending time in the great outdoors with his family, he has a love of rugby, that is restricted to the stands these days and now prefers a park run, to the playing fields. A brief history of RBS since 1987 – Over 30 years of quality service. Our commitment to ethical working practices and charity work. How our fully trained and certified workforce ensures best practice. 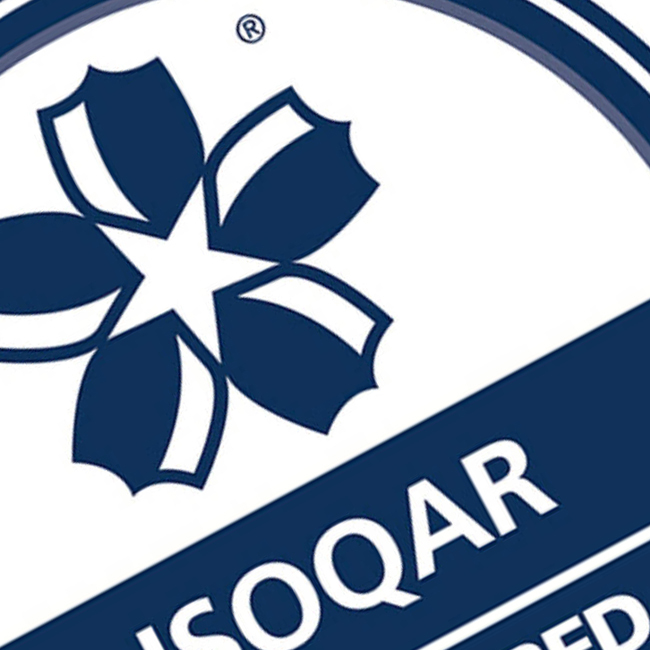 Our commitment to quality through regulatory compliance.